I sat and pondered what my first post of the year would look like. Whether I should do a formal letter or just a blog post. And it caused me to think, sometimes we overthink things and miss the purpose. My blog is solely to encourage others. And as long as that remains the central theme, it doesn’t matter how I do it. In the past few weeks, I realized there was so much more that needed to be done and shared. I realized I needed to dig deeper. There was a different level I needed to reach, a way to make a bigger impact on the lives of others. And I’ve decided that being more open was the way to start. I posted a quote on Instagram about two weeks ago stating that I needed to be more vulnerable in my posts. It’s really the best way to reach someone. When they know they’re not the only one that’s experienced a difficult moment, it gives them hope. It encourages others to keep pushing because they now know that they can make it. Coming into this new year, I’m focused more than ever to create positive change in the lives of others. And I promise to do what it takes. Being more vulnerable in my writing is the first step. I have to be able to relate to others in order for change to occur. Telling my story will give others someone to keep going down the path with. I then realize I need to do my research. Not all of my methods will work. So it is my job to do my research and find other ways, different avenues to get to where I need to be. I have to take action. I will also not be afraid to team up with others in the same direction. I can’t change the world on my own, so why not link up with people who have the same goal as I do. And with this comes sacrifice. It won’t be easy, but my passion and determination won’t allow me to quit. It will allow me to make the necessary sacrifices to get to where I need to be. 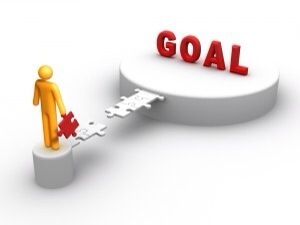 This year, I intend to get closer to reaching my goals. And these are the ways I plan to do it. What are some of your goals for the year? How do you plan to accomplish them? Are you willing to do what it takes? I encourage you to take the time out to plan how you will take action this year. Think about it, write it, and be willing to go the extra mile. Be honest with yourself and always stay open. Keep a determined attitude and stay committed. 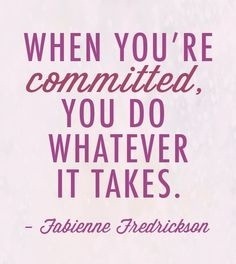 And whatever you do, do whatever it takes to reach those goals that you have set for yourself!